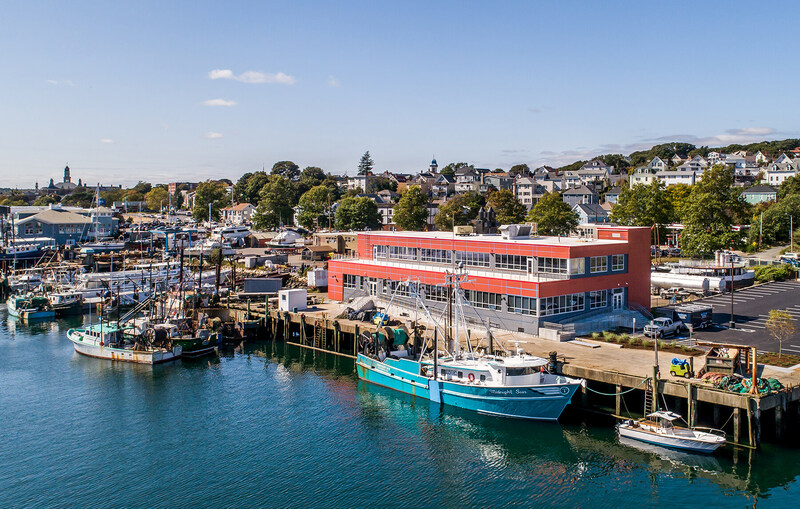 In the Fall of 2018, the Gloucester Marine Genomics Institute officially opened their new research facility, the world’s first dedicated to marine genomics, on the waterfront in Gloucester. Payette served as Laboratory Architects, working alongside Lincoln Architects who was the Architect-of-Record for the project. The 5,000 sq. ft. state-of-the art saltwater laboratory was envisioned as a “big brother” to the Institute’s education arm, the Biotechnology Academy, another Payette project which opened in 2016. As described in the ALN Magazine article, the facility’s research strategy brings cutting-edge genomic technologies to the ocean for new discoveries that will impact both future fish populations and human health. Genomics is a rapidly growing discipline involving the structure, function, evolution and mapping of all the genes within an organism. Researchers use this knowledge to understand how living things adapt to changing environments and respond to disease. The unique adaptations of marine organisms have made them valuable models for biomedical research and provide a source for new medicines for human disease. 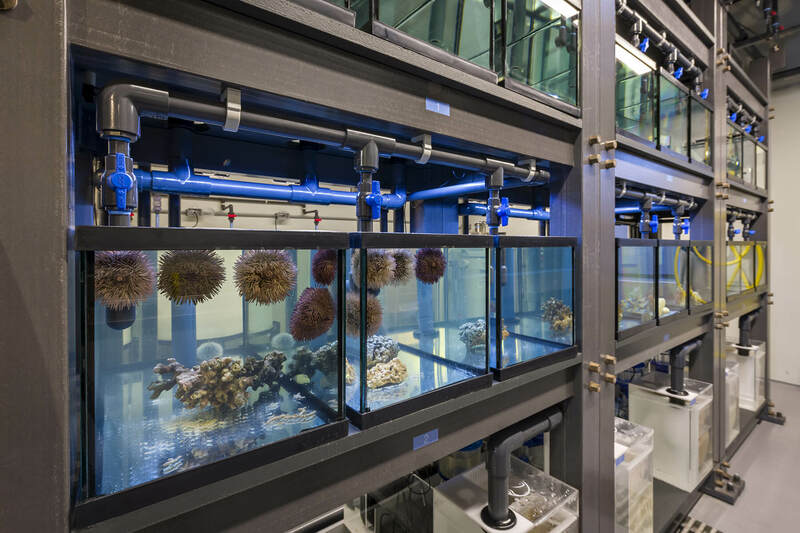 The seawater facility is home to a variety of marine invertebrates that are the subject of ongoing research projects, including cod, lobster and sea urchins. The essence of the project is about community, growth and sustainability. 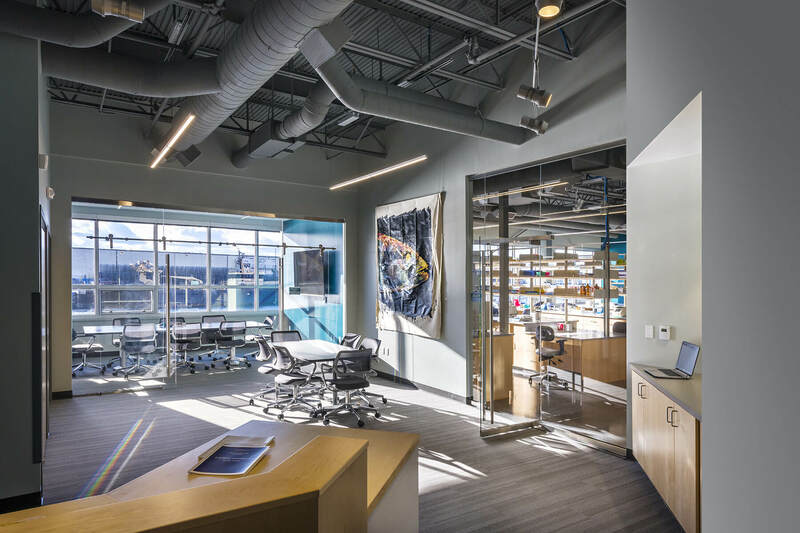 As the lab architect, the design employs a pragmatic approach to space planning and materiality while providing the staff and researchers with ample access to natural light and the scenic views of Gloucester Harbor to the south – a humanistic environment in support of great research. It seeks to provide special moments for visitors as well. Upon entering the suite one can peer through the layers of transparency: past the open office, through the marine research activities being conducted in the open lab and to the natural marine environment beyond. Learn more about the project in the ALN Magazine article.